I don't know if this is an A/B test, but I just got listening practice for the first time during a review session! 她 annoys me so much in the whole course because I often just translate what I hear and get the sentences wrong because Chinese only distinguishes 她 and 他 in writing. 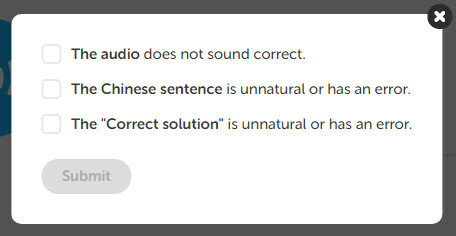 Noticed that few times when listening and writing Chinese and Korean. Hope they will get them fixed! Not for Chinese but I just encountered it in the Korean course!